Unlike some other drugs, Methamphetamine can be made easily with common and easy to get materials. 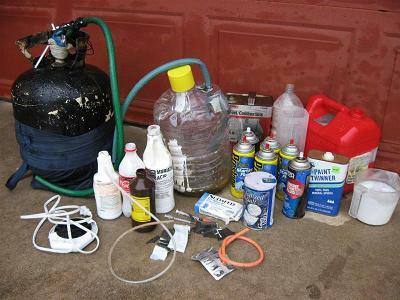 Although the process of making Meth is easy it is also extremely dangerous and puts residences at high risk for negative health effects & danger of fire & explosion. In addition the risk of hazard to the environment is serious. For every pound of Meth made there is five to seven pounds of toxic waste left over, often not properly disposed of.